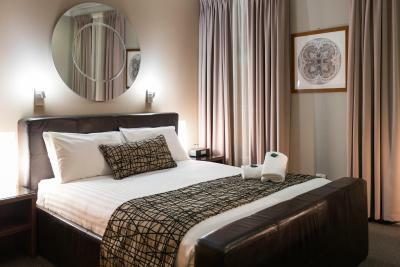 Lock in a great price for The Clarendon Hotel – rated 8.2 by recent guests! Surprisingly they don't provide breakfast, but that wasn't an issue for us as there are lots of great breakfast spots close by. location great. Location good. Hotel has restaurant and there are a lot of eateries nearby. Staff friendly and helpful. Clean room and bathroom. room was very nice, window was dirty to look out though. Great position, friendly staff. Handy parking for $10 o'night. Reasonable rates for money value. The room was clean, well appointed and good in size. The bed was very comfortable. The shower was walk-in not step over the side of a bath. The staff were friendly and helpful. 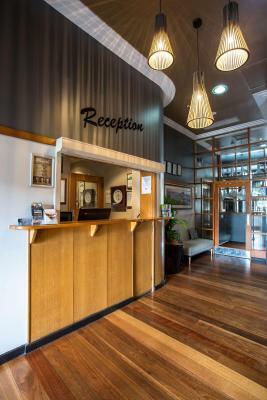 The Clarendon Hotel This rating is a reflection of how the property compares to the industry standard when it comes to price, facilities and services available. It's based on a self-evaluation by the property. Use this rating to help choose your stay! 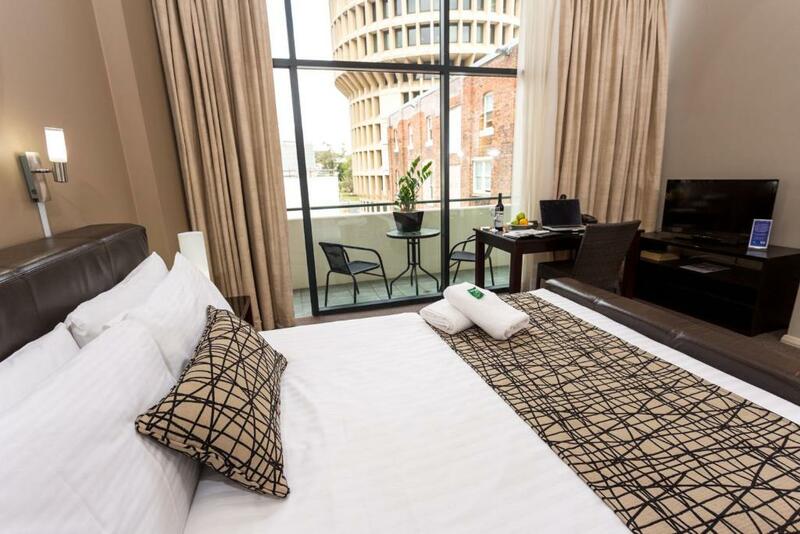 Located in the heart of Newcastle, The Clarendon Hotel offers modern, air-conditioned accommodations. It features a restaurant, bar and live entertainment on Friday and Saturday nights. 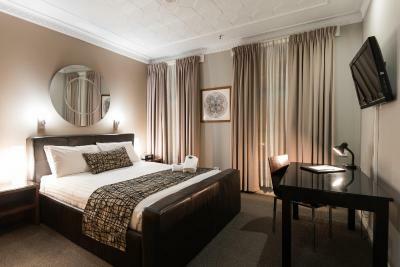 The rooms and suites are equipped with contemporary décor. They feature a flat-screen TV, a desk and tea/coffee making facilities. Each room has a private bathroom with a hairdryer and a shower. Some rooms have a furnished balcony. 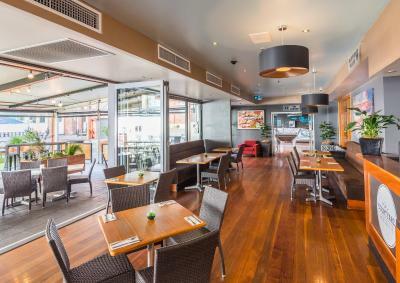 The Courtyard Brasserie at The Clarendon Hotel restaurant is open for lunch and dinner Monday to Saturday. It features indoor and outdoor dining and an extensive menu. 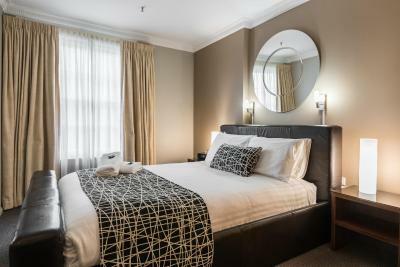 The Clarendon Hotel has room service, luggage storage facilities, and a free communal laundry. Lake Macquarie and Port Stephens are within a 1-hour drive away. Sydney is a 2-hour drive away by car. 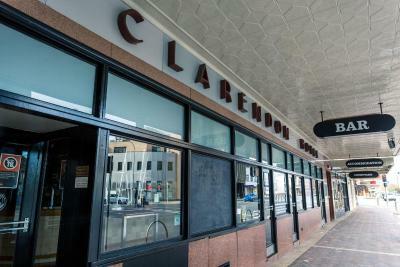 When would you like to stay at The Clarendon Hotel? This air-conditioned room features contemporary décor and a flat-screen TV. 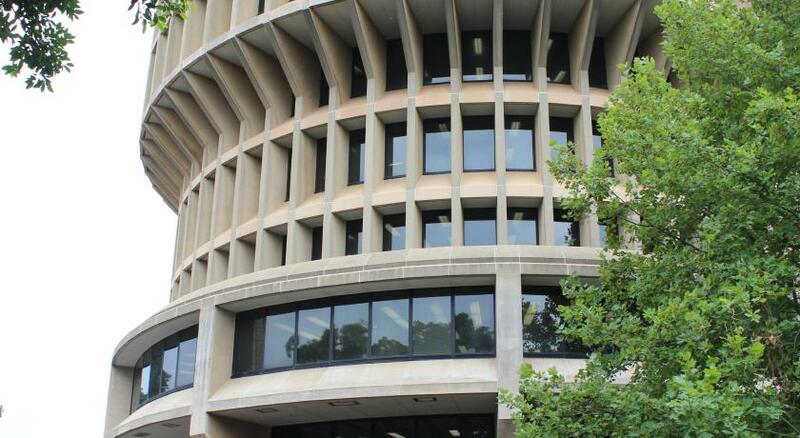 It features a desk, telephone, and tea-and-coffee making facilities. 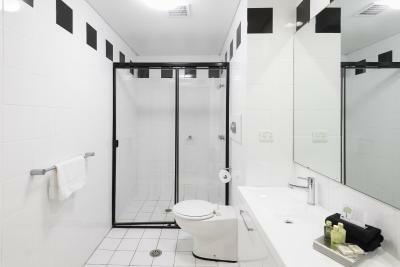 Each room type has a private bathroom with a hairdryer and a shower. This spacious, air-conditioned room features a furnished balcony and is equipped with contemporary décor and a flat-screen TV. It features a desk, telephone, and tea-and-coffee making facilities. 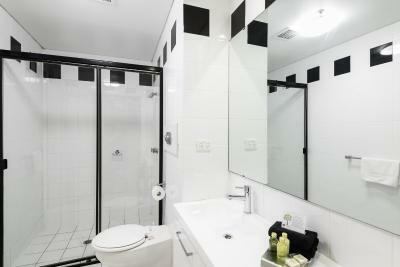 Each room type has a private bathroom with a hairdryer and a shower. This spacious suite is air-conditioned and is equipped with a flat-screen TV, microwave, crockery, and a dining area. It features a desk, telephone, and tea-and-coffee making facilities. There is a private bathroom with a hairdryer and a shower. A sofa bed is also provided. 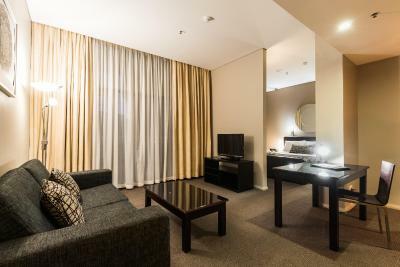 This spacious suite is air-conditioned and features modern decor, a dining area and a flat-screen TV. It has a microwave and tea and coffee-making facilities. The private bathroom has a hairdryer. 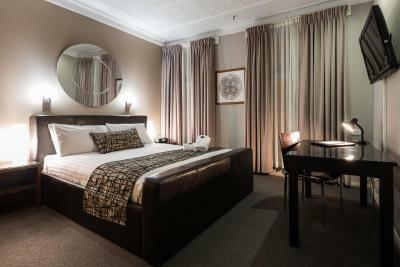 This spacious suite is air-conditioned and is equipped with a flat-screen TV, microwave, crockery, and a dining area. 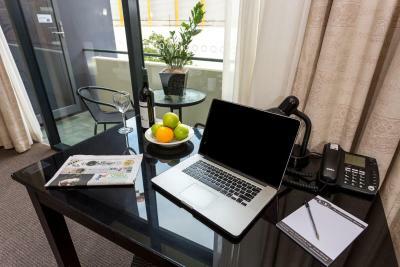 Located in the heart of Newcastle's business and cultural district, The Clarendon Hotel is ideally situated for both the corporate and leisure traveller. 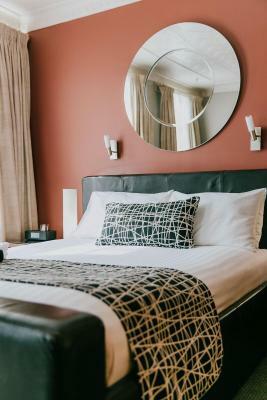 Comfortable and stylish 4-star boutique Newcastle accommodation combines friendly service with great food and a relaxed atmosphere. We hope that all our guests, whether here on business or for pleasure, find us the perfect place to rest their heads at the end of the day. 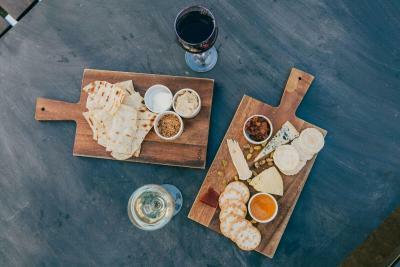 House Rules The Clarendon Hotel takes special requests – add in the next step! The Clarendon Hotel accepts these cards and reserves the right to temporarily hold an amount prior to arrival. Self check-in procedures will be in place for guests checking in on Sundays and Public Holidays. 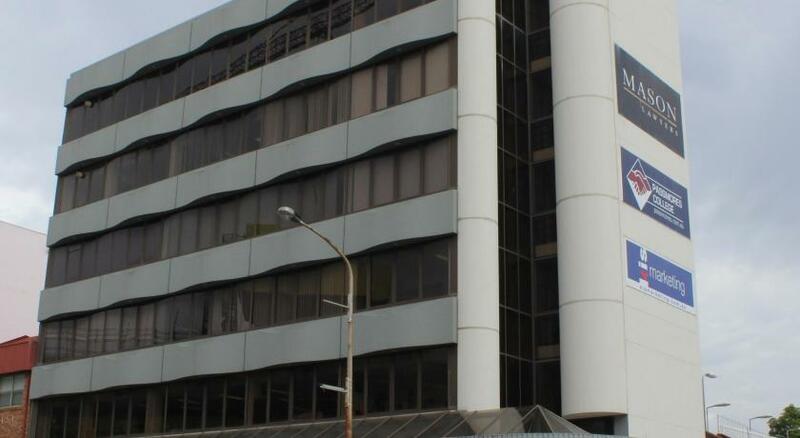 The Clarendon Hotel will contact you to advise check-in procedures. If you expect to arrive outside reception opening hours, please inform The Clarendon Hotel in advance, using the contact details found on the booking confirmation. 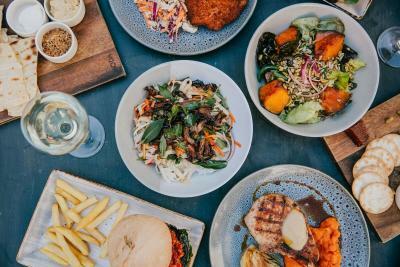 Please note that The Clarendon requires a AUD 100 credit card pre-authorization upon check in to cover any incidental charges. Cash is not an acceptable form of payment at this hotel, and you are kindly requested to present a valid credit card upon arrival. We had no drinking glasses provided for water. The room was very comfortable. We arrived when the reception was closed on the Sunday but provision was made for getting into the building and to our room which worked well. The hotel is in a good location. bathroom could have been a little cleaner. a comfy chair or lounge would have made room even more comfortable. location is superb especially for my purposes. 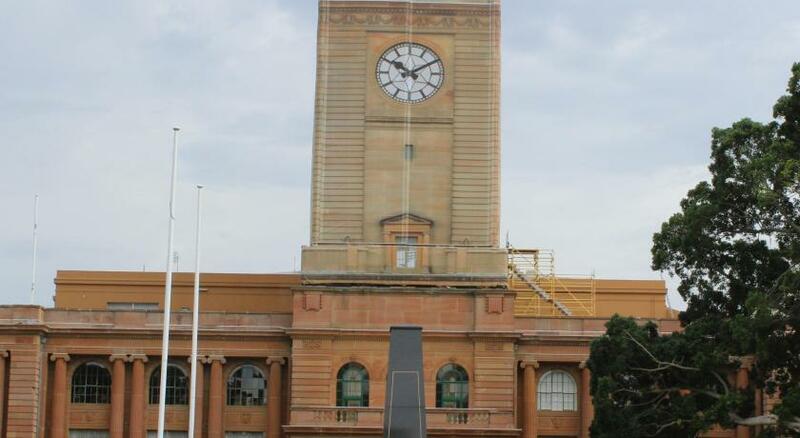 primarily there for writers fest so very handy to fest venues & all cultural precinct. great access to foreshore & beaches - loved beer there and morning run/walk/swim. Click radio going off at 6am in morning and TV had distorted sound. Comfy beds, lovely sunny balcony, very spacious room. Great kitchen facilities. we were very happy with it all. A little bit tired decoration in room. The lift was very very slow. Comfortable bed, good location and good value. Large room and good tv. Was darker and smaller with no real view in comparison to the photos online. Location was good and was good that the noise from pub stopped after midnight.